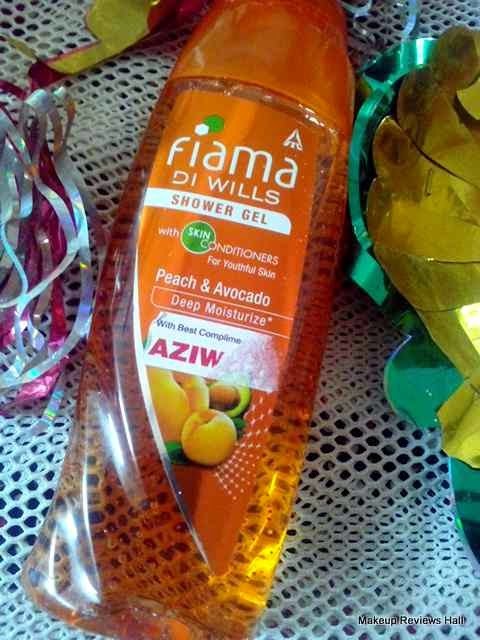 Fiama Di Wills Shower Gel Review - Peach & Avocado Deep Moisture. Summers are approaching and so is the need of a refreshing shower gel. I simply cannot live without a shower gel in summers specially the one with refreshing citrus cool fragrance to revive the lazy senses. 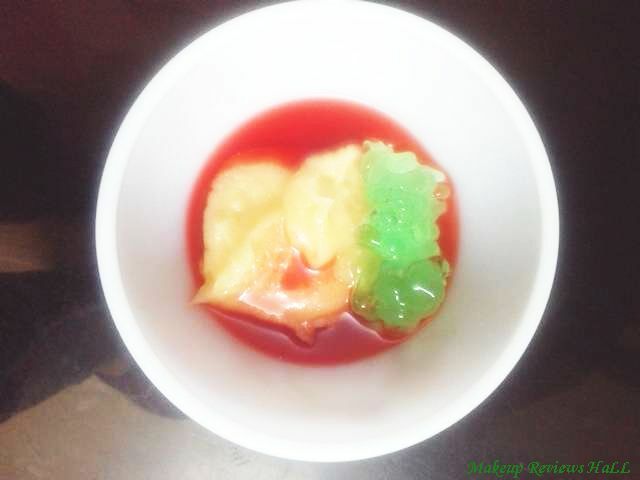 I do use soap at times but it has to be refreshing and cool in summers. Normally I use my all time favorite Amway Body Wash but keep trying the new one. Recently I tried Nivea Frangipani shower gel and loved it very much but this one from Fiama Di Wills in Peach and Avocado Deep Moisture is even better specially for summers because of its extra delightful fragrance. This brand is full of different variants in gels and body soaps but I did not try any of the variants from this brand before, this is the first one but I am totally in love with this. 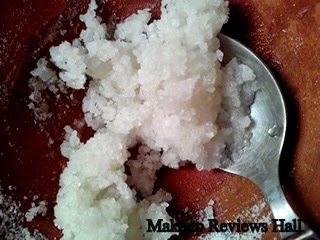 Check out my review below to find out what's so good about this gel. Patchouli & Macadamia Pure Indulgence . Brazilian Orange and Ginseng Fresh Revive Shower Gel. Black Currant Bearberry Radiant Glow. Lemongrass and Jojoba Gentle Exfoliation Gel. Refreshing Pulse Shower Gel for Men. PRICE - Rs 185/- for 250 ml. 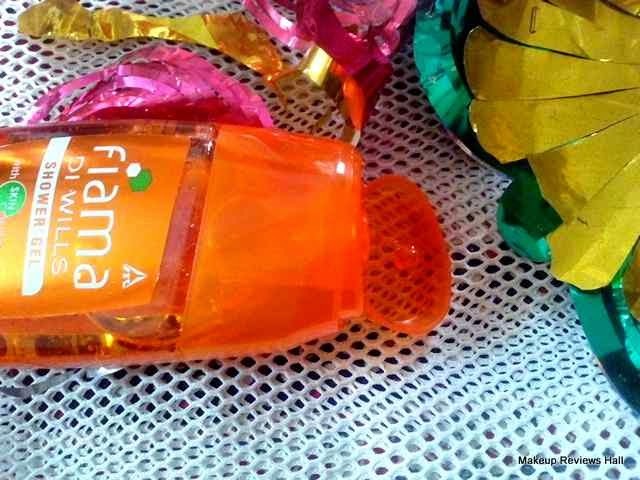 This Fiama Di Wills Shower Gel with Peach & Avocado comes in a beautiful transparent bottle with the orange colored shower gel inside giving it a very refreshing fresh look. The gel is light orange in color with the medium consistency and has somewhat peachy fragrance which is the best part of this shower gel. I simply go in some other world on bringing this shower gel close to my nose. 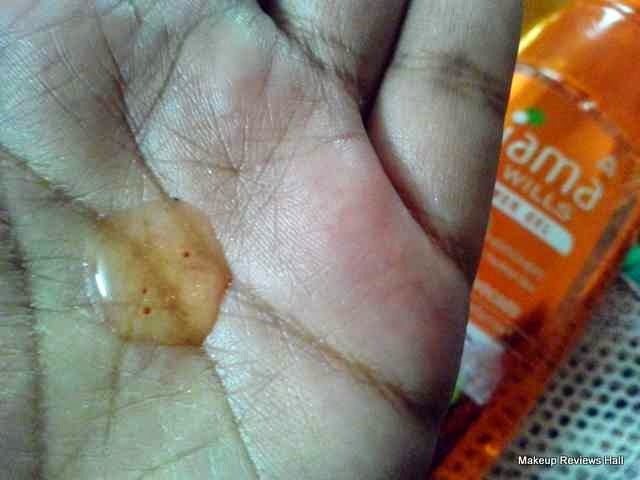 The gel has minute orange colored granules for everyday gentle exfoliation. Take a look at the look & texture of this deep moisture peachy glow body wash.
On application, the body wash lathers average, little less than regular foaming gels but cleans skin thoroughly. The body wash lathers less and thus not drying at all rather it moisturizes skin giving a smooth soft touch. This was all I like about this shower gel. What I don't like is the less lasting fragrance. 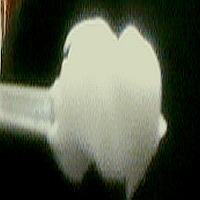 The fragrance is so good that I wish it lasted for few hours rather than just few minutes. Other than that I don't find any con, this is one in all shower gel, Cleansing, moisturizing, refreshing with a great fragrance and packaging. I know I have exaggerated a bit more but this Fiama Di Wills Body Wash in Peach and Avacado is truly one of the best shower gels for all skin types including the sensitive skin. A truly refreshing fragrance for summers. Transparent bottle with orange gel looks too good. A great wash to pamper and delight your senses. Cleanses skin leaving a soft touch. 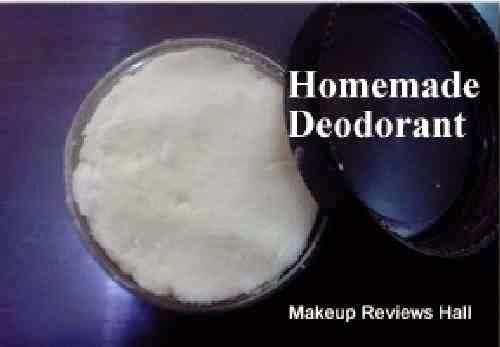 Moisturizes skin without making it dry. Available in lot of variants. Lathers little less than regular gels. 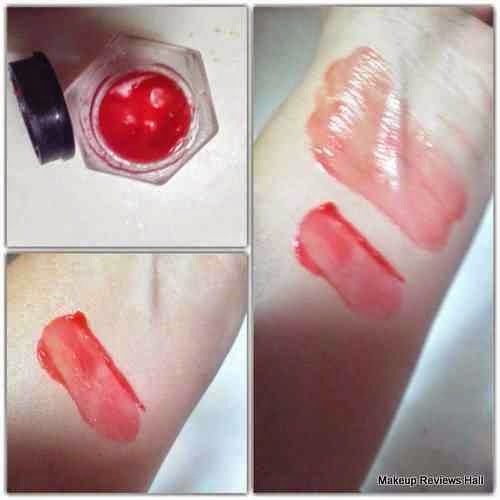 Fragrance not so long lasting. I wish it came in small travel friendly bottle. 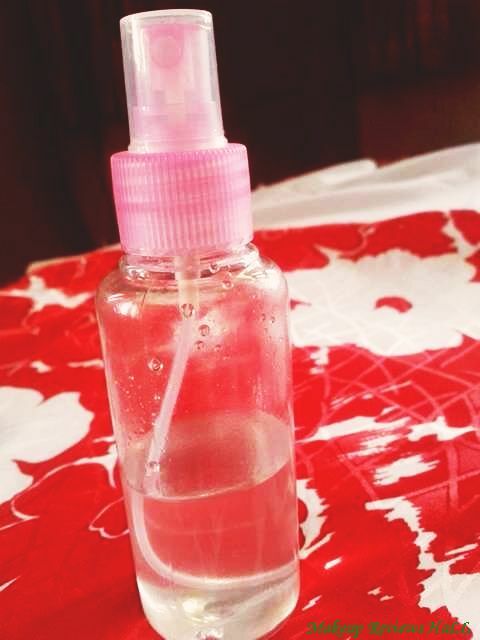 Overall this is one of the fab body wash for summers. 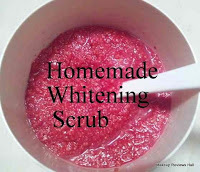 Its refreshing along with being moisturizing. I simply love the amazing fragrance it has and would surely buy it again because of its sensuous refreshing fragrance. 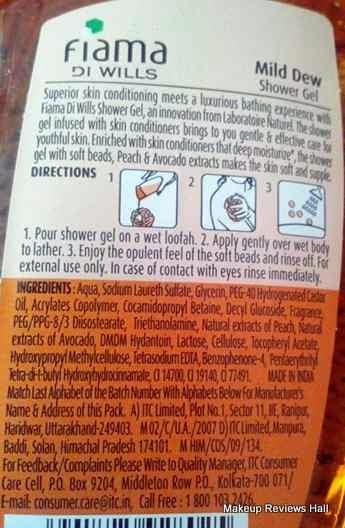 Along with this, I would also try the gel and soap in other variants and update their reviews.